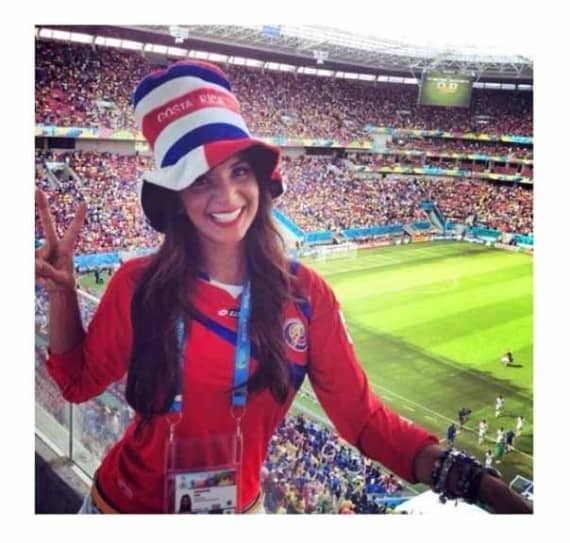 Move over Vanessa Huppenkothen, you’ve got some serious reporting competition at the World Cup in Costa Rica’s Jale Berahimi. The 28-year-oldis the latest smoke to be introduced on the world’s largest sporting stage. Instead of wasting your time with pointless words that you probably aren’t reading anyways, let’s just get into the goods. Following is a collection of Berahimi’s hottest Instagram photos. Feel free to find a way to include Berahimi and Huppenkothen in your coverage whenever, ESPN. There’s still a lot of tournament left, and something tells me American men won’t mind.